Y’all this soup is yummy! If you don’t know it by now, I LOVE Mexican Food! Seriously! If you have see any of my menu posts you know that we have Mexican food probably 4 or 5 times a week. Maybe it’s a Texan thing, but I cannot get away from it!! 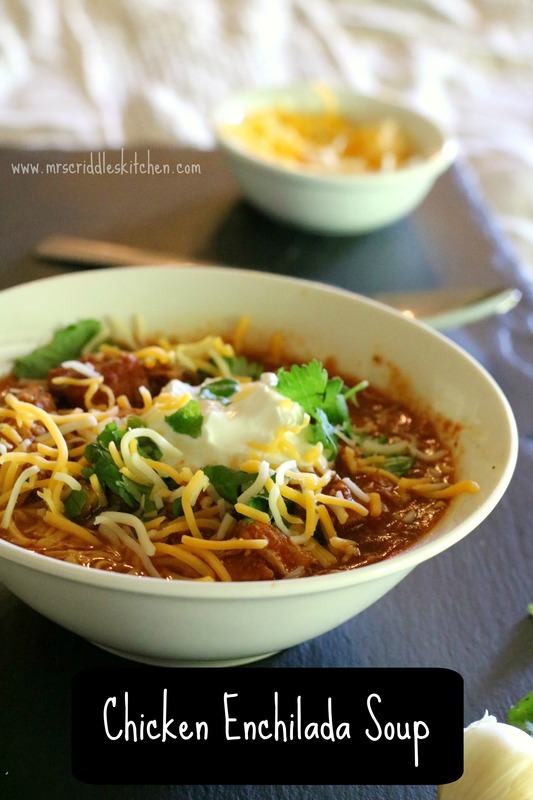 So this soup… it is YUM, it is easy to make, and it’s a one pot dish! It’s sooooo versatile too! If you make it as the recipe states then you are making a low fat, THM FP meal! If you add cheese, sour cream, avocado then you have an S meal! If you add a little Greek Yogurt, some brown rice, blue corn tortilla chips & salsa, then you have an E!! Of course, I like it with the works! 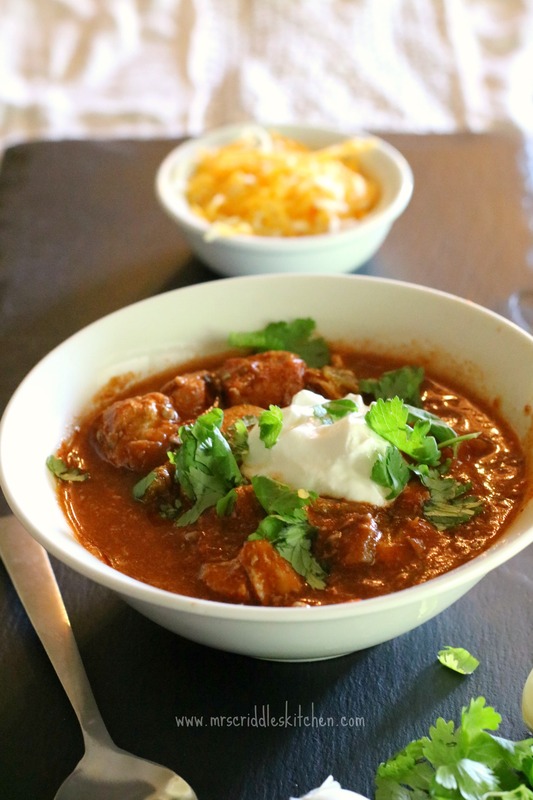 You could even make this in a slowcooker by simply adding all the ingredients in a crockpot and cooking on medium for 6-8 hours! 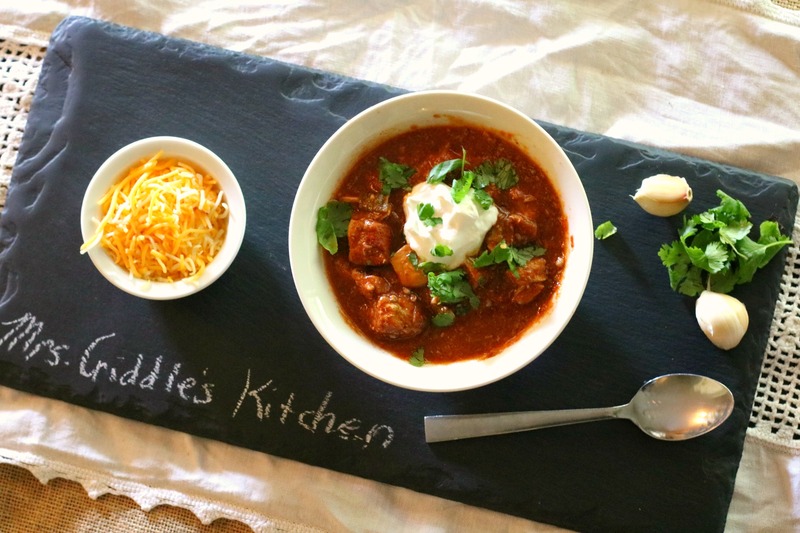 If you are wanting more yummy TexMex recipes go check out my friend Teresia at Nana’s Little Kitchen! Here is a link to my Chicken Enchiladas! **Check out the beautiful serving SLATE!! Isn’t that incredibly beautiful??!! Please go check out SlatePlate.com !!! These slates are absolutely perfect for serving an appetizer on or making a beautiful statement for dinner! They are also handcrafted in the USA! 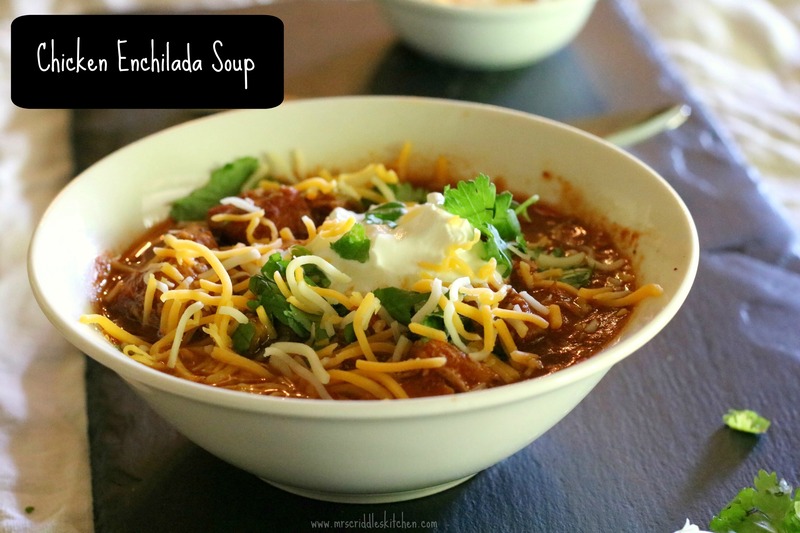 An easy, yummy, one-pot Texmex soup that is sure to please! In a big pot put the oil on medium heat. Add the chopped onion & garlic and cook. Add in the chopped chicken and cook. Add in the okra and cook for 10 minutes. Add in the spices and mix well. Allow to simmer until vegetables are cooked through. If you are going for an S then you can add the cheese at the end. If you are going for an E or FP keep the cheese off and top with cilantro or greek yogurt or blue corn tortilla chips or salsa or brown rice. S toppings- more cheese, avocado, cilantro, salsa. Copyright © 2014 Mrs. Criddles Kitchen. All rights reserved.